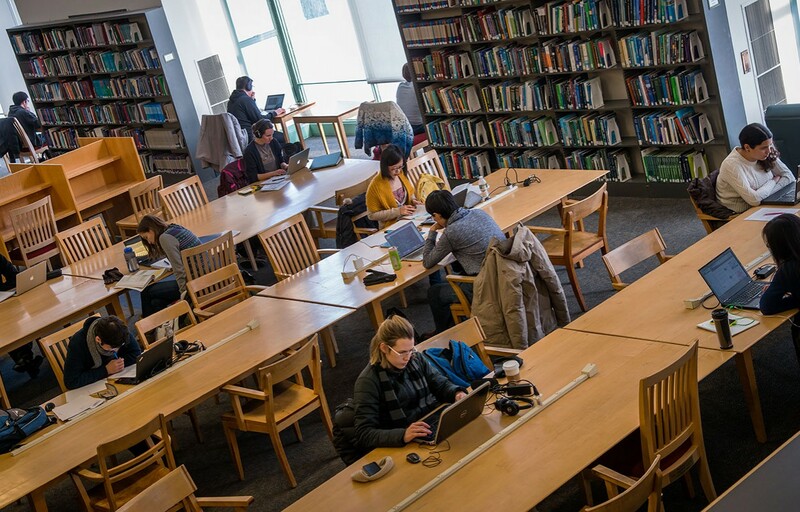 In 2009 the MIT faculty adopted a powerful and effective open access policy, which, through a license to MIT, allows authors to legally make their final, peer-reviewed manuscripts freely accessible through the open access repository DSpace@MIT and other venues. As of April 2017, all MIT authors, including students, postdocs, and staff, have access to the same powerful means of retaining rights, via an “opt-in” open access license. Once signed, the license applies to all scholarly articles written by an MIT author who is included in the categories described below. Authors covered by the MIT faculty open access policy do not need to sign this license. Who does the opt-in license apply to? Faculty members, as defined by section 1.10 of MIT’s “Rules of the Faculty,” are already covered by the MIT faculty open access policy and do not need to sign this license. Unsure about which policy covers you? Email us at scholarlypub@mit.edu. The license is for members of the MIT community who voluntarily choose to sign it. By contrast, the faculty policy is the default for all MIT faculty, who have the option to waive the policy or opt out. How does the opt-in license work? The license enables MIT authors to opt in to grant certain rights to MIT. Its wording mirrors that of the MIT faculty OA policy. Legally, the license allows MIT to exercise all rights under copyright (except MIT may not sell the articles for a profit), and to give those same rights to others — most importantly, to the authors themselves, who typically give up many rights through a publication contract. Rights given by authors to MIT are held by MIT for MIT’s and the author’s use. Copyright is not transferred to MIT. The license to MIT takes precedence over a publisher agreement, so the author receives rights through MIT regardless of the terms of the publisher agreement, unless the author has opted out for the article. The license focuses on scholarly articles (as defined on the faculty policy page) and allows authors to share final, peer-reviewed manuscripts on the web, reuse them in publications, etc. The license applies to all scholarly articles written by an author after signing it, if the author is included in one of the categories described above. Once signed, authors may opt out of the license for a given paper. When and where do I submit a paper to DSpace@MIT under the license? The opt-in license applies to all scholarly articles you write after signing it, if you are included in one of the categories described above. To submit a paper under the policy, upload the author’s final manuscript, post peer-review, via a web form, or send it to the OA policy submission email list. If you have already submitted this version to a preprint server (e.g. arXiv), you may email the paper’s identifying repository number, or the URL, instead of the paper. How are the MIT faculty open access policy and the opt-in version of it different from open access offered by a journal? Many journals offer paid open access options, where there is a fee to a journal to make the final published version of an article immediately available, often under a Creative Commons license. MIT’s open access policies do not have any relationship to the choice of journal or whether the article is published open access. Instead, the policies offer a legal mechanism through which authors have the rights to share and reuse the final peer reviewed manuscripts of their articles, regardless of the journal they publish in, or whether the article is made open access by the publisher. How did the opt-in policy come about? Since the passage of the faculty policy, other groups of authors at MIT have asked whether a similar license could apply to them. The faculty policy applies only to papers that are authored or co-authored by an MIT faculty member. Thus, a significant portion of the scholarly work produced by the MIT community — articles by graduate students, post-doctoral associates, and research scientists where there is no faculty coauthor — is not covered by this policy. Former MIT graduate student Cara Manning spearheaded an effort to create an OA policy for these authors. The Libraries worked with graduate students, faculty, and the administration on the wording of an opt-in version of the policy. The policy launched in April 2017. What if a publisher requests that I opt out of the license? As with the faculty OA policy, those who sign the license can choose to opt out for any article. Authors at the Massachusetts Institute of Technology are committed to disseminating the fruits of their research and scholarship as widely as possible. In keeping with that commitment, by signing this license, I hereby grant to the Massachusetts Institute of Technology nonexclusive permission to make available my scholarly articles and to exercise the copyright in those articles for the purpose of open dissemination. In legal terms, I grant to MIT a nonexclusive, irrevocable, paid-up, worldwide license to exercise any and all rights under copyright relating to each of my scholarly articles, in any medium, provided that the articles are not sold for a profit, and to authorize others to do the same. This license will apply to all scholarly articles written while I am employed by, have an Academic Instructional Staff or Academic Research Staff (e.g., Postdoctoral Fellow) appointment from, or am registered as a student at MIT, except for any articles completed before the execution of this license and any articles for which I entered into an incompatible licensing or assignment agreement before the execution of this license. This license will not cover any article for which I notify MIT in writing that I am opting out of the license for that particular article. To assist the Institute in distributing the scholarly articles, as of the date of publication, I will make available an electronic copy of my final version of the article at no charge to a designated representative of the Provost’s Office in appropriate formats (such as PDF) specified by the Provost’s Office. I understand that the Provost’s Office will make the scholarly article available to the public in an open-access repository. Read the FAQ on the MIT faculty open access policy.